I'm having one of those Bad Mom days. I went seriously Bad Mommy on Duncan today when he refused to participate in swim lessons. First of all, swim team began 2 days ago. Duncan, who graduated from the pre-competitive league last year, was totally excited and ready to be a Flying Dolphin. Except that he didn't understand the instructions at the first practice and ended up swimming way farther than he needed to, and from there he just melted down. So the next practice he was all excited and ready to try again. Except that he lasted about 10 minutes and something else happened. We decided he wasn't quite emotionally ready for swim team, so we made some phone calls and got him back in the pre-competitive program. Once again, he was all excited and ready this morning, but once there, he refused to budge, even when Marty, the awesome instructor, tried to encourage him. No budging. * play computer or watch TV all summer. I seriously said those things, or some version of them. What was I thinking? 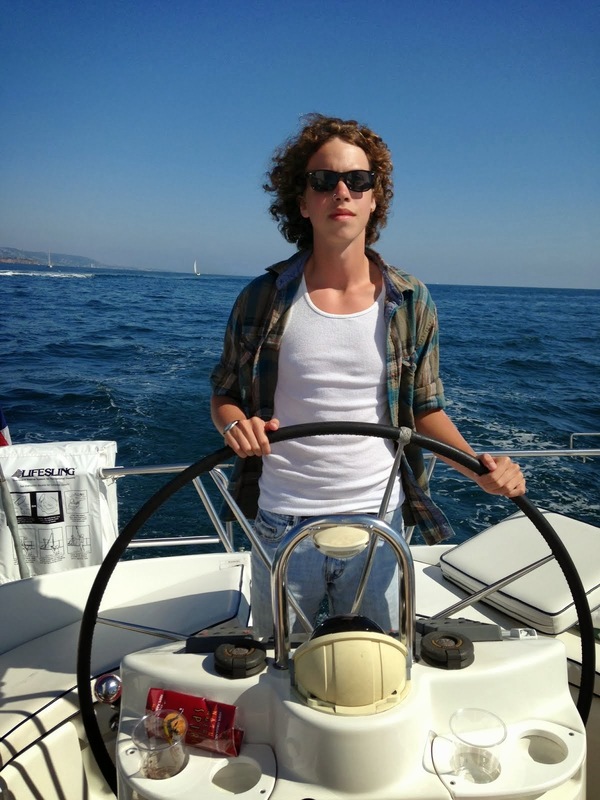 • I was thinking, "I paid $70 stinkin' dollars for this swim team so you are going to buckled down and do it, buddy!" • I was thinking, "It is 100 degrees in this pool area, and if you don't get in and let me get out to the patio area, I am going to scream." * I was thinking, "You are going to be 6'4" and an awesome swimmer someday, so you'd better start training now, buddy. After all, you are seven years old and you need to be ready for the Olympics in 10 years." Fortunately, I thought all those things in my head, and whatever I actually said to Duncan, I said in one of those low-toned psycho Mommy voices that, hopefully, the others moms around couldn't hear. We've talked since then, my boy and I. Caroline laughed with me on the phone, completely understanding when Evil Mom rears her ugly head. Then Dr. H. pointed me in the direction of sanity. Something about Duncan not being characterized by being a quitter. Something about not scarring him for life by insisting that he swim competitively before he's ready. Something about him only being 7-years-old. We went swimming this afternoon at the pool. Everytime he saw me, he gave me his big smile and wave. He played with the neighbors when we got home. And now he's watching TV. I did ask for his forgiveness, and he gave me that and his beautiful smile. Last year as Cassie sat on the side of the pool refusing to do anything because it was "too cold," I told her she would get in and do what her instructor told her or she would pay me back the $70. She got in. :) But it was still TOO COLD. Waaah. Oh yeah, that low-toned bad mom voice... I hate it when I do that! So nice to hear that my home isn't the only place bad mom days occur...I've had some moments like that with R before I came to terms with him being no where near ready to be in a group sport. Your post made me smile :) I've been there, done that too, well, not exactly in the swimming competition. I've mellowed - see that's the good thing that happens when you get older :). How sweet the forgiveness of a young child! I, too, am guilty of the same feelings! I love when parents know it's important to ask for forgiveness from their child. To have those sweet arms thrown about your neck when you've asked for forgiveness and it's so freely given, is one of the sweetest times in parenting. :) I've sooo been there. Yep. Threatening. Thinking psycho thoughts. Frustrated beyond belief at one of my boys.... It's a good thing they forgive us. Monday, June 2, 2008 - relating! I can SO understand this post. I feel your pain. :-) Glad you all worked through it. I'm have a Bad Mommy MONTH. 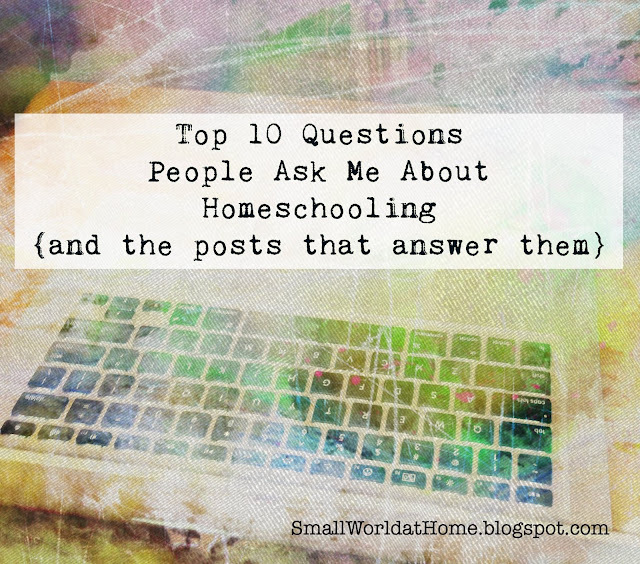 This week's meme at Heart of the Matter asks us to share our favorite homeschooling moments. I've had a lot of favorite moments that are like snapshots in this journey: reading around the sandbox, nature journaling in the Smokies in late October, reading with a newborn baby on my shoulder during our first year, playing kickball together for PE, oh, I could go on and on with these precious snapshots. But I can also be more concrete. The moment that reading clicked with both Duncan and Laurel. I'd always inwardly scoffed at those who said, "It's so wonderful to be with your children when they learn to read!" See, Jesse had learned to read at public school, and I didn't feel as if I'd missed out on anything. But when Laurel truly began grasping reading, and then when Duncan did a few years later, I thought: "Now I get it!" And I still get those moments of pure joy when I see her reading and realize that we did that -- together. One of my favorite moments most recently was getting Jesse's ACT scores in the mail. I have to say that this was a big one for me. We have never had our kids do standardized testing. I've always felt that we could appropriately measure their learning levels ourselves. I felt intuitively that at 15 Jesse was ready to take the ACTs. In order to take dual credit enrollment classes at our local community college (he'll get both high school credit and college credit at the same time), students have to have a composite score of 19 on the ACT. That was really our only goal: that he would score a 19. Well, let's just say that he way, way surpassed that goal. That was a favorite moment. But here's the thing: it's not me. God has blessed us so richly in so many ways, and having children with sharp minds is, indeed, a blessing. 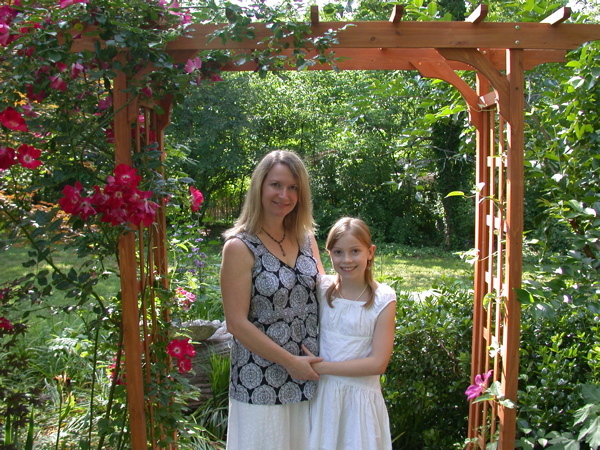 I don't take that for granted, and we initially felt led to homeschool largely because Jesse was such an eager learner. I saw a glimpse of his future in the public school system when, midway through first grade, he began scribbling on his math sheets out of sheer boredom with the repetition. He was seeing already what it means to "teach to the middle" of the class. I guess, then, that those favorite moments include (but certainly aren't limited to!) the loveliness of life with our children at home--the prolonging of their childhood and our parenthood--, and those moments when we see educational successes. Do you have a favorite moment you'd like to share? Click on the Heart of the Matter link above to share your blog post, or just post here in the comments! 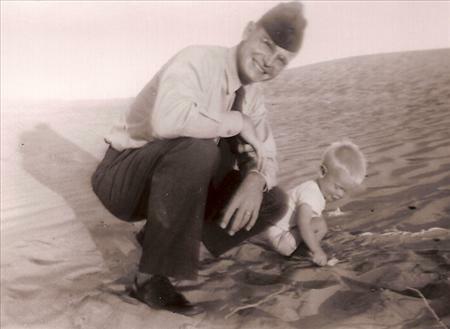 In 1951 my parents drove from Illinois to California so that my father could go to war. My father had already fought in World War II not even 10 years before, leaving college to enter the army at age 18. 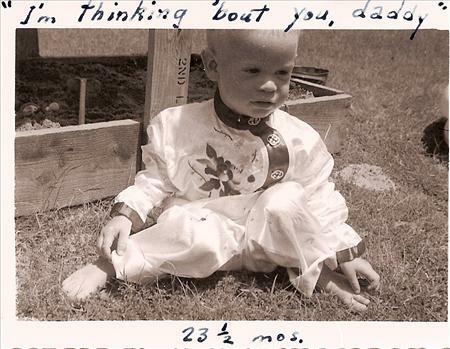 Now my father was a college graduate, a husband, and a father, and he was off to Korea. My parents speak of this time with great fondness. They'd been married just a few years, and their lives were wrapped up in James, as we all are with out first child. It was a great adventure to drive across the country, to visit the Mojave Desert and the Continental Divide, to touch the Pacific Ocean. 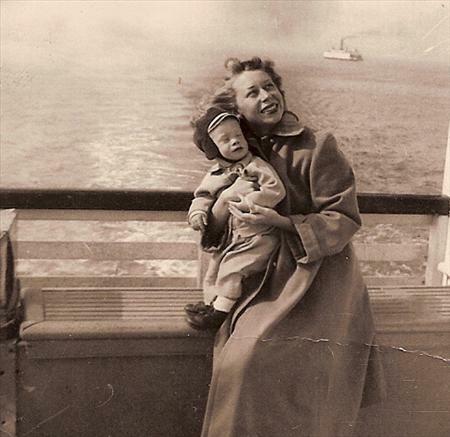 My mother was sending her husband off to war. It is what women did. 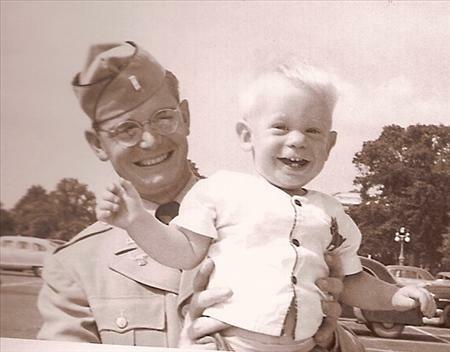 My mother and James flew back to Illinois when my father shipped out, and my father was in Korea for a year. Here is a picture that my mother sent to him in Korea, near the end of his tour. James is wearing an outfit my father sent that was purchased during R&R in Japan. My father is 83 years old now, my mother 81, and James will be 58 in July. In the evenings when my parents tell stories, though, they remember every detail: the rickety hotels, the sound of the ocean, the sifting of sand between their fingers. 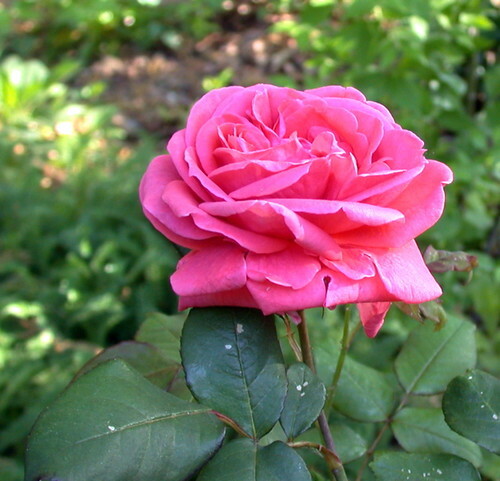 Monday, May 26, 2008 - thank you! Thanks to your father, today. These photographs are a treasure. I love that one of little James at the bottom. :-) You have a wonderful family history. Those are incredible pictures. What a special thing you are doing, making those memories have a life of their own... and sharing them with us. Real life history. Wednesday, May 28, 2008 - I love soldiers. I know that sounds really shallow at first, but I sure don't mean it to be. Our November Remembrance Day always chokes me up. I wear my poppy with pride...and I'm not even from a particularly military family. I remember hearing the stories of my grandad who fought in WW2 and how I would cry as a child considering his sacrifice for people he would never meet. It always makes me think of Romans 5:7. Thank you for sharing this story and these pictures. It warmed my heart. What wonderful photos! I love these old black and whites. So anyway, the food was indescribably delicious and perfect, and the dessert was rich chocolate cake on a bed of fresh cream, sprinkled with raspberries, and lightly iced. Amazing. And...the speaker didn't show up! I know I shouldn't be so happy about that, but dinner speakers are really not a treat for moms with wiggly girls, like at least 10 of us there. So after an exquisite dinner, Laurel and I headed to the mall where I found an excellent swimming suit on sale for 50% off! It was a fabulous Mother/Daughter evening. 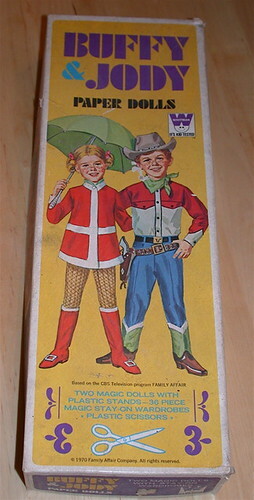 Please tell me you know my beloved childhood companions, Buffy and Jody. Oh, I so, so loved them, even more than I loved Eddie's father (and Eddie, secondarily) on The Courtship of Eddie's Father. Except for the sadness of Buffy, Jody, and Cissy being orphans, their life was so fabulous in that high-rise in NYC. Come to think of it, didn't Eddie and his father live in a high-rise, too? And what exactly is a high-rise, anyway? Are we talking skyscrapers here or just tall apartment complexes? It all seemed logical back then, even though I personally lived in a house with a big front porch on a shady street, more like Ramona. 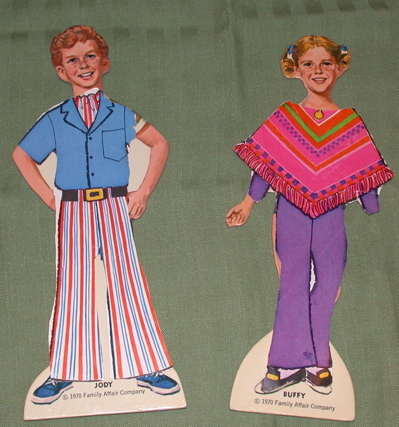 Anyway, while I was reading Om-Kas-Toe, the Blackfeet boy, to Laurel and Duncan today, Laurel got out her paper dolls. 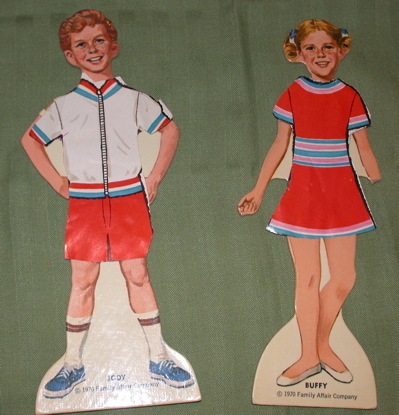 I loved paper dolls as a girl. I played with them as much as I played with Barbies and baby dolls, so pretty much I spent my whole childhood playing with some kind of doll. Laurel has all of my paper dolls and a few of her own. 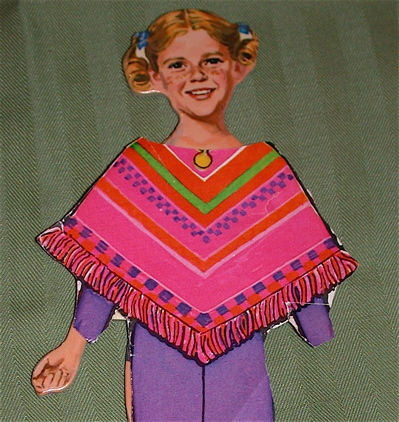 I love to watch her play with my paper dolls, mostly because I remember each and every outfit so perfectly. But for some reason I've never given her my box with Buffy and Jody and their marvelous wardrobe. 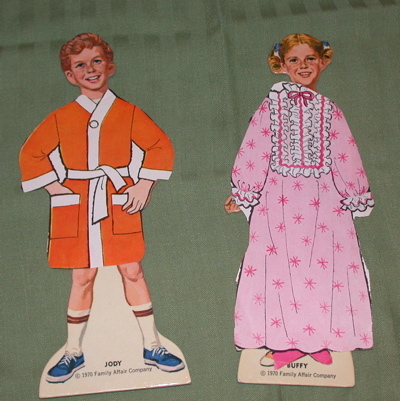 These were my absolute favorite paper dolls and the only ones to which I still have the box. They must be worth at least $600, 000, even if Buffy is missing a hand. I think this makes her even more precious. Just look at these two. Are their outfits not amazing? Jody's tie is simply a work of genius. I seriously think that my brother and I had these same exact outfits, or mighty close. In fact, I think I kinda thought that my brother and I were Buffy and Jody. Probably I never told him that, though. I think my mom still has my brother's pants just like those in a box in the attic. Tennis, anyone? Just imagine them hopping over to their tennis club. Buffy really should have had more appropriate footwear. Aww, look at them in their cute little bathrobes! If only Jody had some fuzzy slippers, as well. I could watch them all day. Oh, but I have my own kids to watch! And I'm getting to them and dinner and all that kind of thing in a minute, but first, a "where are they now" on Buffy and Jody: in case you somehow missed this in the 80s, Buffy died of a drug overdose. Sigh. But Jody is still acting and, appropriately, speaking out against drug abuse. Oh, and there are plenty more episode clips over on YouTube. Yesterday my third brother (the second one from the left, top row, in the picture) and his wife celebrated their 27th wedding anniversary. I remembered around midday that it was their anniversary, and of course I started thinking, then, about where we all are 27 years later. My grandmothers both died when I was in college. 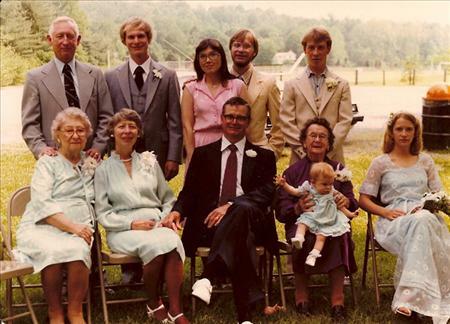 The baby in the picture, Esther, belongs to my second brother, John (the bearded guy) and his wife, Sharon (in pink). Esther is now a mama herself. And both of those brothers are now grandfathers, which means, of course, that my parents are now great-grandparents. My fourth brother, Stephen (the one closest to me in the picture) was married last summer in the most perfect wedding. 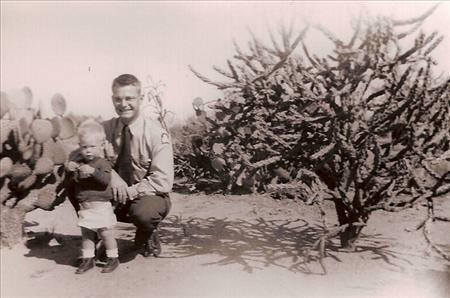 My Uncle Max is the white-haired man in the photo, the bachelor uncle who took care of my grandmother until she died. And then there's me. Don't I look rather grumpy in this photo? My brother Stephen does, too. Perhaps we were arguing. In this photo I was 15, nearing the end of my freshman year in high school. I was newly dating Bryan, my first boyfriend, as I would continue to do off-and-on for another two years or more. 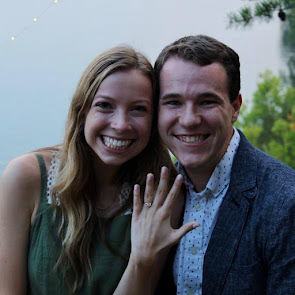 In just six years down the road, Bryan would die in a car accident, and I would begin growing up, swamped in reality and struggling hard to breathe. Here, though, I'm probably thinking about how great my hair looked and how cute my brother's groomsman Greg was. I'm probably thinking about getting a tan and counting down the days until I could see Bryan again. If I could have known what was coming up in 6 years, then I would also know that, after that year of pain, my life became full of one blessing after another. I think I would have been smiling perpetually. We're home! We've spent the past few days on a long-awaited trip to the Virginia historic triangle of Williamsburg, Jamestown, and Yorktown. 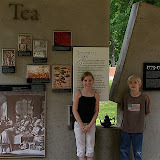 We wanted to do this trip this year, as all three kids have been studying American History. This is one of those times when book-learning history meets hands-on history full force, and I am so thankful that we were able to make this trip as the culmination of our year! Neither Dr. H. nor I had been to Williamsburg since were were 10 or 12, so we had very little memory of the town. Because we wanted to stick within our travel budget, we decided to do Williamsburg in just one day and Jamestown and Yorktown both on another day. Seems like most people I talked to beforehand spent at least a couple of days in Williamsburg, but we just didn't have the extra funds and decided we could still do it in one day. Jesse, Randy and I loved visiting the buildings and listening to each re-enactor talk about what went on there, but this got old quickly for Duncan and Laurel. They really just wanted to know if I had any candy in my bag. For those two, Williamsburg was too much show-and-tell and not enough hands-on. Still, I'm very glad we went. Again, the Revolutionary City part was fantastic. Williamsburg tickets vary, and of course the price goes down per day the longer you stay. For us, we paid around $36/adults and $18/kids, but you can get slightly cheaper tickets than that online. The next day we visited Jamestown for most of the day and finished our tour with Yorktown. Jamestown was hands-down our family's favorite. 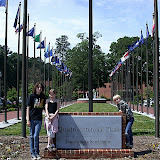 If we were to do this trip again, we'd spend a whole day at Jamestown and another whole day in Yorktown. Jamestown was absolutely packed with hands-on activities. First of all, the galleries inside are awesome, displaying artifacts and information from where English, African, and Powhatan Indian cultures meet. There is a 25-minute film that chronicles the convergence of cultures in Virginia, and we all loved it. Duncan could easily have watched it again. Outside there is a re-created Powhaten Indian village that is loaded with things to touch and do. The guides encourage kids to lie on the furs, grind corn, scrape animal hide, shake gourds, etc. We could have spent an hour here, except that we managed to pick a day when about a dozen large school groups were also there, so we moved on to the ships. These are replicas of the colonial ships the Susan Constant, Godspeed, and Discovery. You can climb onto and around each ship, squeeze into a sailor's bunk, try steering, etc. Each ship has a couple of guides to explain the various parts of the ship and other details. From there, we headed to the James Fort, which is a recreation of the 1610-14 fort, home to Jamestown's earliest colonists. Again, there were countless hands-on activities and great talks by the re-eanactors. In all, Jamestown was absolutely fantastic. I don't think Duncan or Laurel ever asked for candy or snacks; they were totally enthralled with all the activities and stuff to see. We drove about 20 minutes to get to Yorktown when we finished in Jamestown, and we only had about two hours to spend in Yorktown before it closed. We could have used another hour or more, as we rushed through the last part and didn't even get to watch the film. Like Jamestown, Yorktown was full of hands-on activities, from hornbook practice to tobacco planting. We spent a lot of time at the Continental Army encampment. The guides told tales of meager rations and demonstrated a musket drill and cannon firing, among other things. We spent so long at the encampment that we only had a short time to visit the 1780s farm. 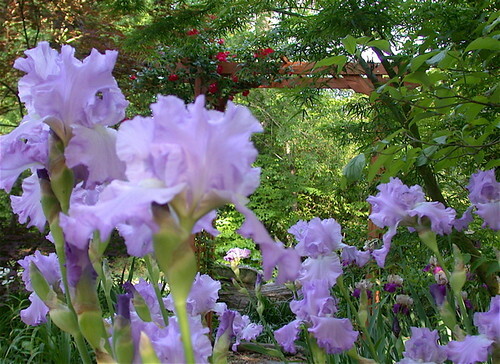 Laurel especially enjoyed this, as she planted tobacco, swept out the house, and shelled peas. Jesse and Duncan preferred to chase the turkey. You can get a combination ticket for Jamestown and Yorktown and even use them on different days if you want. The combo tickets are $19.95/adults and $9.25 kids 6-12 (under 6 is free for Williamsburg, too). The town of Yorktown is definitely worth a visit, too. We spent at least an hour just hanging out on the beach of the York River. We had planned to have dinner at one of the riverfront restaurants there, but Duncan and Laurel couldn't resist getting soaking wet. And, of course, we didn't have extra clothes with us. That was a lovely way to end our trip, though--relaxing on the sand by the pier, watching the big boats come in. All in all, this was a fantastic field trip. Our trip to Disney last year was, admittedly, a whole lot more fun, (although certainly this one was more educational!) but not every year can be a Disney year here in SmallWorld. I've decided to do a little spring cleaning here at SmallWorld. I've felt lately that I'd like to keep my book reviews and book talk a bit more separate from my family life here in SmallWorld. I was nice and comfortable in my own little isolated world, but now that I'm participating in more book talk, somehow it feels better to have a different place for all that. I'll still post link to book reviews here and of course continue double posting on kids' books and curriculum reviews, but I'll be doing the majority of my own book reviews at SmallWorld Reads. Come and say howdy to me there! I'm still in the getting organized and transferring phase, but I put out my welcome mat today. Be sure to find the subscribe button at SmallWorld Reads, too! * Oh, wow. I haven't thought about the play Waiting for Godot in a long, long time. My senior year in high school, we were always making some kind of Godot references, and somehow that title just popped out today. Of course, if you didn't go to high school with me and didn't read that bizarre existential play sometime in your own life, you have no idea what I'm talking about. 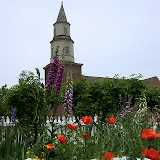 * So moving right along, here I am in Williamsburg, Virginia, waiting for (everyone one else to get ready) to go. During the eight-hour car trip yesterday, I read John Grisham's The Appeal. You can read my review here. (There was no damage to the van when I threw the book upon finishing it.) I'm halfway through Celia Rivenbark's Stop Dressing Your Six-Year-Old Like a Skank, and it is hilarious. * So the big question is: which backpack would be more stylish to wear to Williamsburg today: Barbie or Anakin Skywalker? Hmmph. I forgot my grown-up backpack, so those are my choices, unless we want to do without water, granola bars, the camera, and, most importantly, chapstick. * I love our motel, the Rodeway Inn! Admittedly when we drove up last night I thought, uh-oh. It looks like one of those places that you would pass by thinking, "Who would stay there?" But much to our delight, our "suite" actually has 2-bedrooms downstairs and a big living room with pull-out sofa and a little kitchen. If you are like us and must stick with the under-$100 range when traveling, I totally recommend the Rodeway Inn in Williamsburg. Bring water, though. The faucet water tastes truly repulsive. So repulsive, in fact, that even being made into coffee couldn't mask its disturbing taste. 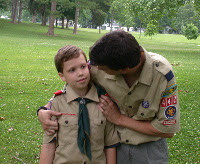 When Jesse was a Cub Scout, many years ago, Randy was our pack's Cubmaster. He resumed the Cubmaster job this year when Duncan entered Cub Scouts, and last week was the end-of-the-year pack meeting and crossing-over ceremony, during which the 5th-grade Cub Scouts cross-over into Boy Scouts. It's a beautiful ceremony, and it was one of those times when I'm acutely aware that my children are growing up. 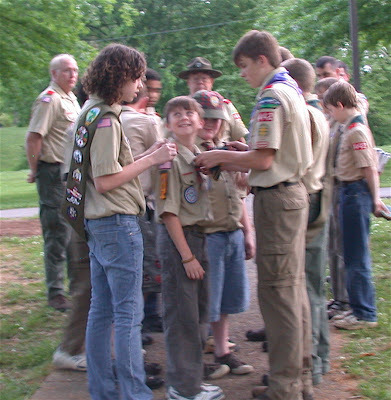 It's hard to fathom, really, but it was just four years ago that my lanky, curly-haired teenager was the sweet new Boy Scout in the photo above. So much changes in four years in the life of a child. From two-to-six: toddler to reader, three word sentences to a rich and varied vocabulary. From seven-to-11: Green Eggs and Ham to Lord of the Rings. From 11 to 15: eight inches of height, eight inches of hair, and an even more extensive vocabulary. Grapes of Wrath and the ACT. But still the same kind, funny young man, with the gentle smile and green eyes. Moving now, closer to Eagle Scout. And now he's the one welcoming this new Boy Scout into the troop, putting on the new neckerchief and epaulettes. Today's Heart of the Matter Meme asks for ways we socialize. That is hilarious. How do we not socialize? I love those quiet evenings at home, socializing with just our family. Those rare evenings are a nice respite from all the other activities that we choose to do. You know: Cub Scouts, Boy Scouts, American Heritage Girls, church, co-op classes, camps, sports, performing arts, and just hanging out with friends. That kind of stuff that people can do if they want to. 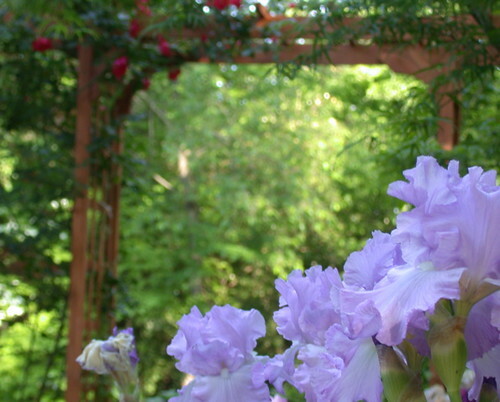 Or they can just stay at home and enjoy their flowers, or each other, or a good book. Some days are party days, some days aren't. What I seek: a well-balanced life. 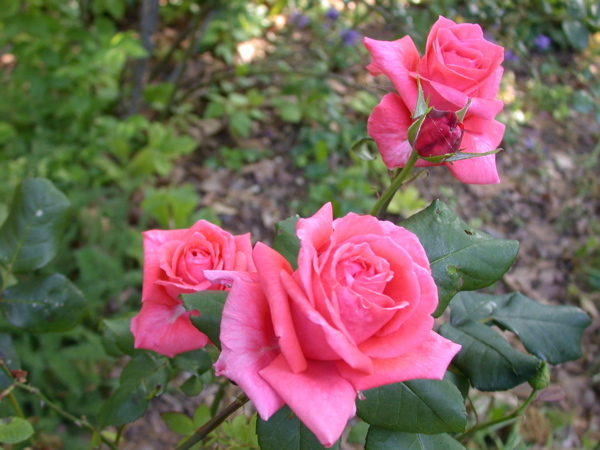 Happy Mother's Day to you, and I hope your day is blessed! 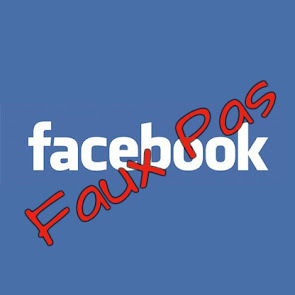 Very true and aptly put! Amen to that , Sista' ! If I'd known all these sweet things were waiting for me in the garden today, I'd have made shortcake. I think that I'm getting the hang of this lapbook thing! We had such a great time creating these Revolutionary War lapbooks. We've been studying American History this year (click here to see resources for the first part of our year) and have been immersed in the Revolutionary War for what seems likes months. We've read all kinds of books and watched movies, and this lapbook really tied it all together. I love this site for making mini-books. For more lapbooking resources, check out this post. 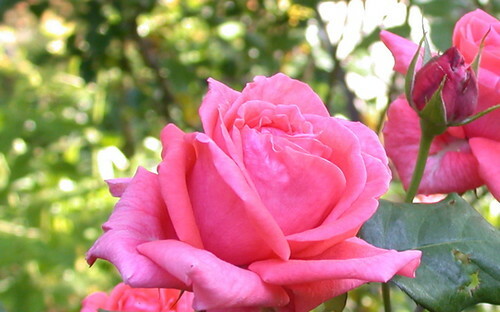 maybe your soul has never been in bloom. A commenter asked me a couple of weeks ago for suggestions for poetry to read to children. Before I list my favorite books written specifically for children, let me emphasize that you don't have to stick with "kids' poetry" when reading to your children. In other words, some poets write specifically for a younger audience--much of Jack Prelutsky, for example. But poetry doesn't have to rhyme and be about cute kitties or dog poop to appeal to children (although rhyming bodily functions certainly can heighten a child's appreciation of poetry). Along those lines, I highly recommend A Treasury of Poetry for Young People. 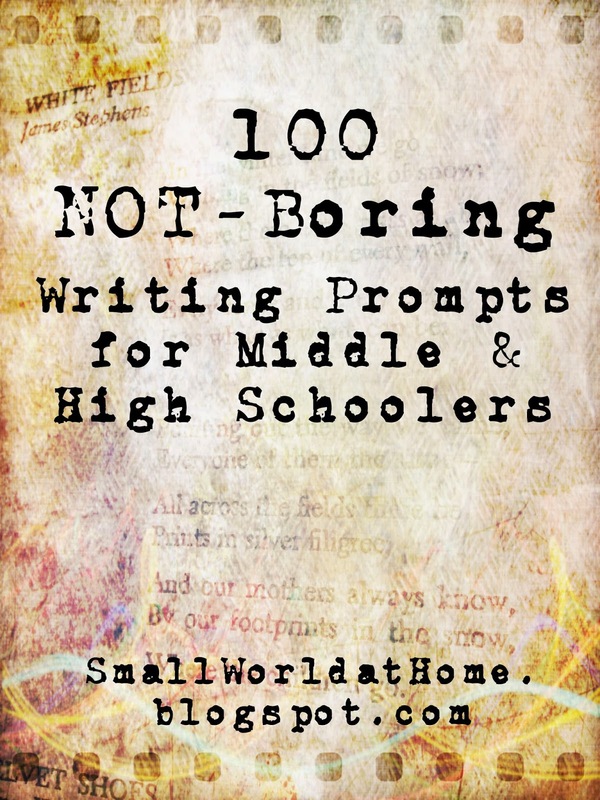 This contains poems selected with a younger audience (5th grade and up) in mind by some of the best-known poets: Carl Sandburg, Robert Frost, Emily Dickinson, Edgar Allen Poe, Walt Whitman and Henry Wadsworth Longfellow. There is a two or three page introduction of each author before his/her section of poetry. The illustrations are simple and beautiful. Notes at the bottom of each page give a very brief commentary on each poem. For example, at the end of the familiar Frost poem "The Road Not Taken," the note simply states: "We all know the feel of a cool autumn day, when we can shuffle our feet through fallen leaves and kick up the smells of the season. 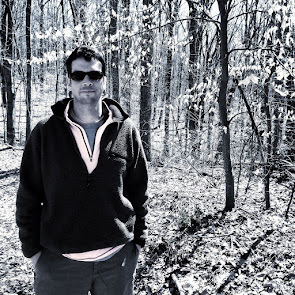 This is a poem about such a walk, about coming to a fork in the path, and about making choices in our lives." For a wider variety of poets, I recommend the Poetry for Young People Series. These books are also published by Sterling Publishing, like the one above, but each books features a different poet. Scholastic often has these titles in their monthly sale fliers for home or school. Featured authors include: Robert Browning, Langston Hughes, Edna St. Vincent Millay, and all the ones mentioned above. One more collection I really love for kids: The Oxford Illustrated Book of American Children's Poems, edited by Donald Hall. This one takes a chronological approach to American poetry, beginning with the Native American cradle song, "Chant to the Fire-Fly" and ending with the contemporary poetry of Sandra Cisneros and Janet S. Wong. I love the diversity offered in this collection: poetry isn't all written by white guys and reclusive women. And one of my personal favorites is included here: Nikki Giovanni's "Knoxville, Tennessee." Even if you don't live around these parts, you and your children can surely relate to Giovanni's ode to the pure bliss of summertime. I grow old. . . . I grow old . . . I shall wear the bottoms of my trouser rolled. But I digress. Moving on to poetry written specifically for children, I must present my four favorites: Shel Silverstein, Jack Prelutsky, Eve Merriam, and Valerie Worth. Does anyone not know Shel Silverstein's works? Silverstein, who died in 1999, is the king of children's poetry. His website is great fun, and you can read all about his works there. You local library will have every book; better yet, buy at least a couple. No family library can possibly be complete with A Light in the Attic or Where the Sidewalk Ends. If your kids hear the word "poetry" and cover their ears, try reading "Sarah Cynthia Sylvia Stout Would Not Take the Garbage Out' to them. They will want to hear more. Prelutsky also has a great website, where you can read all about him and his books and get teaching ideas, too. I have a cassette tape of Merriam reading some of her poetry; when my oldest was little, this was one of his favorites. Check out your local library or amazon.com for poetry by Eve Merriam, including You Be Good and I'll Be Night and A Sky Full of Poems. One last poet who might be less familiar but who also takes great care in crafting poetry: Valerie Worth. In the wonderful All the Small Poems and Fourteen More, Worth turns every day things--animal, vegetable and mineral--into exquisite works of art. This is a fantastic collection for teaching personification, metaphor and simile, and for emphasizing the power of observation and the craft of language. This is just a tiny taste of the wonderful feast that is the world of poetry. Surf the internet and shuffle through the library bookshelves. 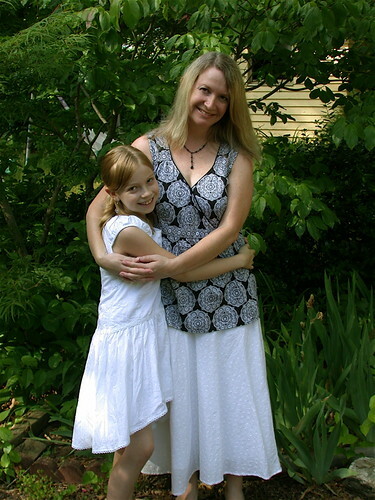 If you had a bad experience with poetry in your own schooling, try again--with your child. I promise, you'll both find something you love.